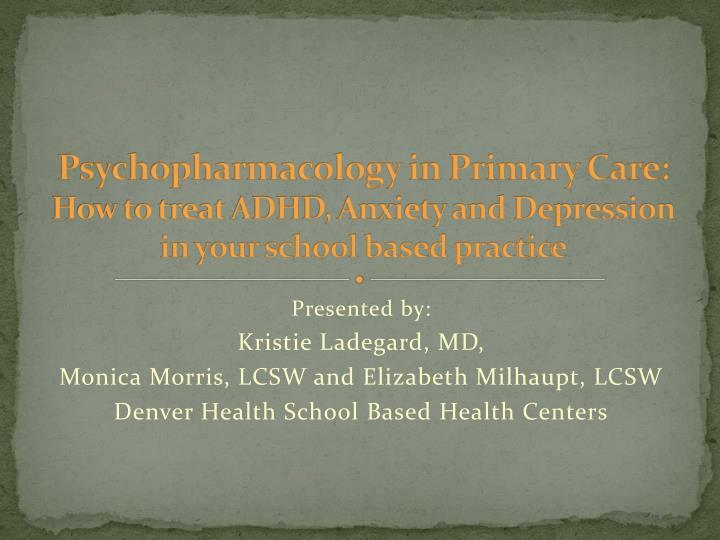 Psychopharmacology in Primary Care: How to treat ADHD, Anxiety and Depression in your school based practice. 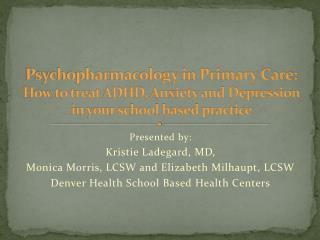 Presented by: Kristie Ladegard, MD, Monica Morris, LCSW and Elizabeth Milhaupt, LCSW Denver Health School Based Health Centers. 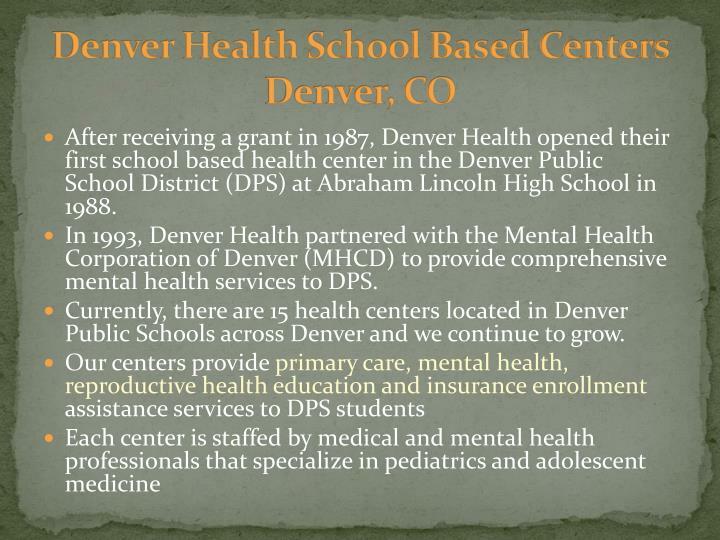 After receiving a grant in 1987, Denver Health opened their first school based health center in the Denver Public School District (DPS) at Abraham Lincoln High School in 1988. 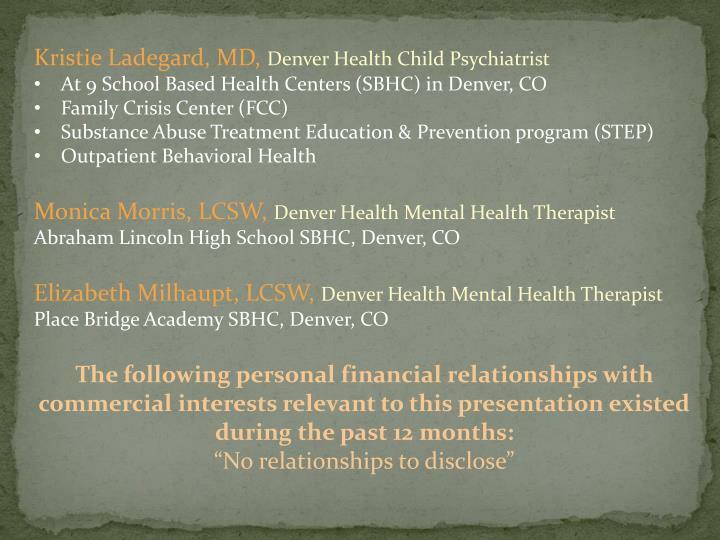 In 1993, Denver Health partnered with the Mental Health Corporation of Denver (MHCD) to provide comprehensive mental health services to DPS. 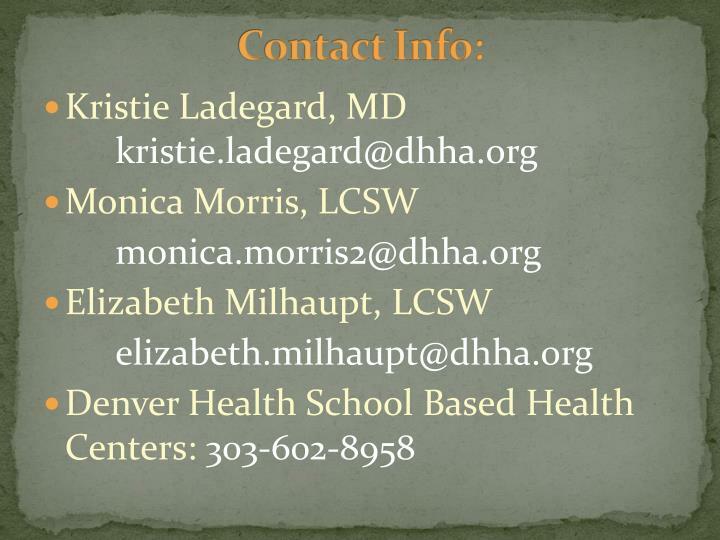 Currently, there are 15 health centers located in Denver Public Schools across Denver and we continue to grow. 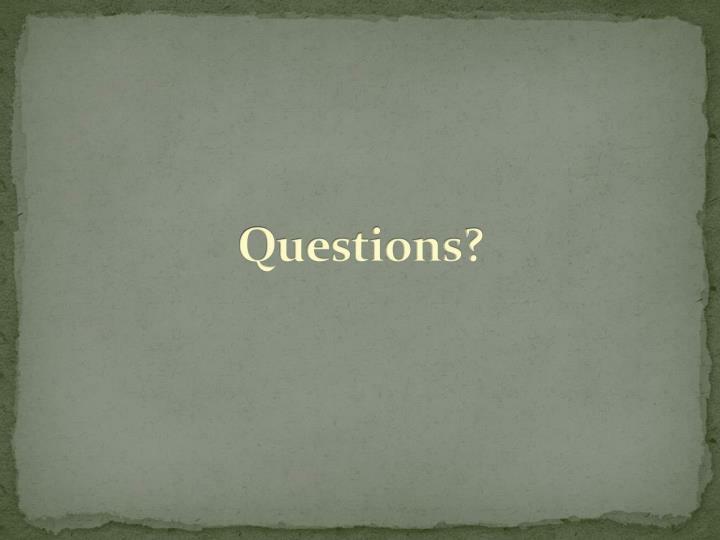 12-year-old Caucasian female presenting to clinic for sports physical. 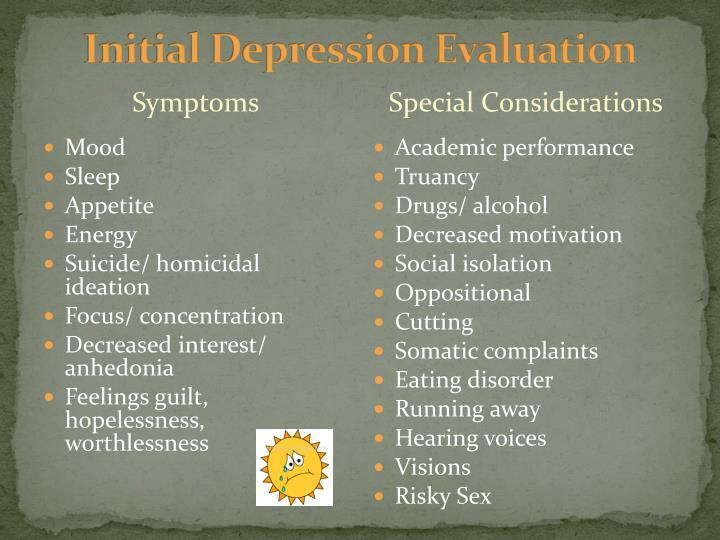 Depression questionnaire (PHQ-9) reveals symptoms of depression. Due to the positive depression screen the nurse practitioner performs a mental health evaluation. Susie reports having difficulty falling asleep because she’s "thinking about things." Spends a lot of time by herself at home. Susie reports not liking herself and doesn’t think she has a good future. 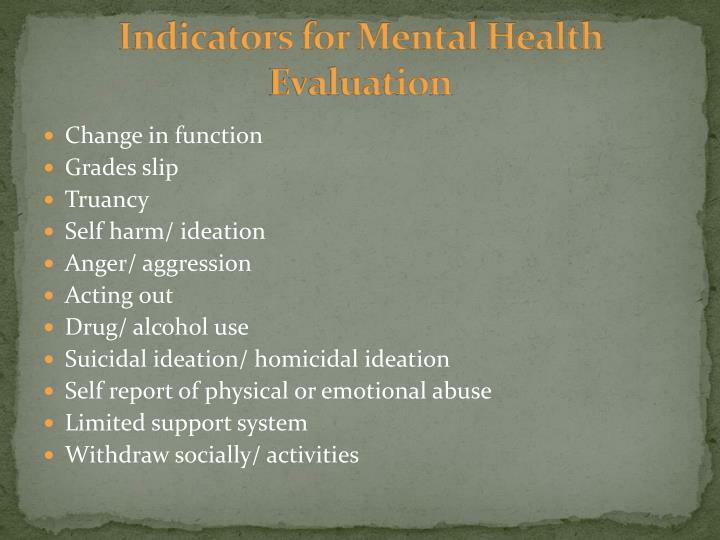 Brief risk assessment reveals she had suicidal thoughts a few months ago but denies current thoughts. NP notices a couple scars on Susie’s forearm and sheadmits to cutting but hasn’t for a couple months. Admits in the past her father would drink heavily and yell at her and her mother. Reports having flashbacks and nightmares at least two times a week. Admits to having trouble in the hallways because she is easily agitated and startles easily whenever she hears loud noises. 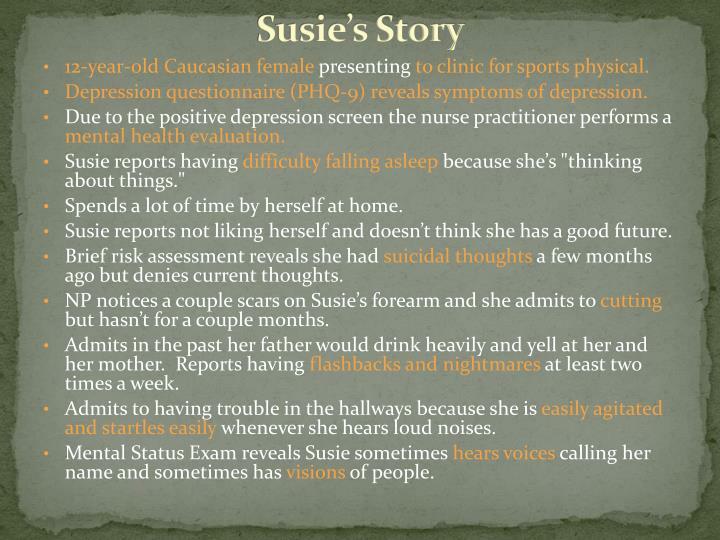 Mental Status Exam reveals Susie sometimes hears voices calling her name and sometimes has visionsof people. MOC admits her daughter’s behavior has worsened over past 3 months. 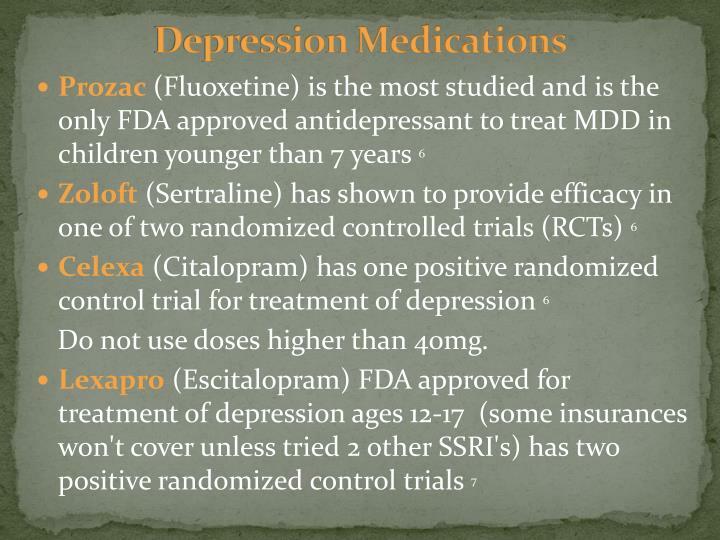 All agree to initiate Prozac 10mg daily. 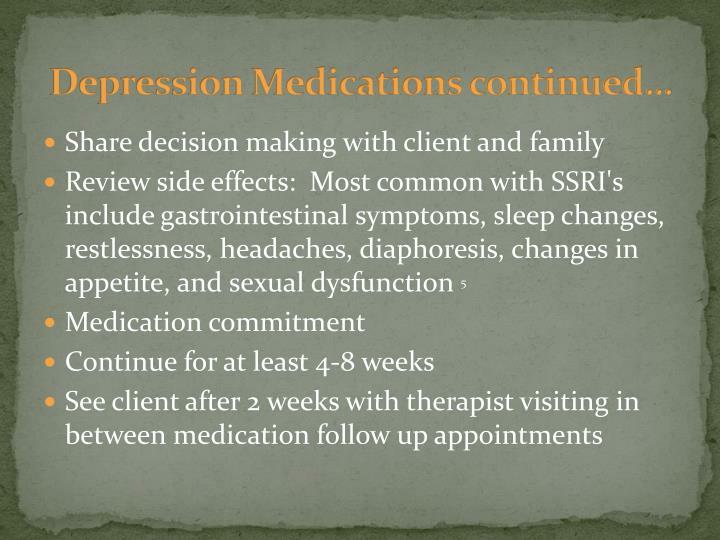 At 2 week follow up, Susie says she continues to feel sad and all agree increase to Prozac 20mg. Two weeks later, Susie reports some mood improvement but continues to worry frequently and dose then increased to 30mg daily. 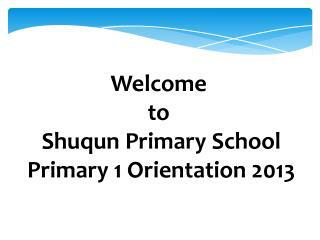 Susie reports being more irritable and agitated, school reports Susie has started cussing out her teachers. 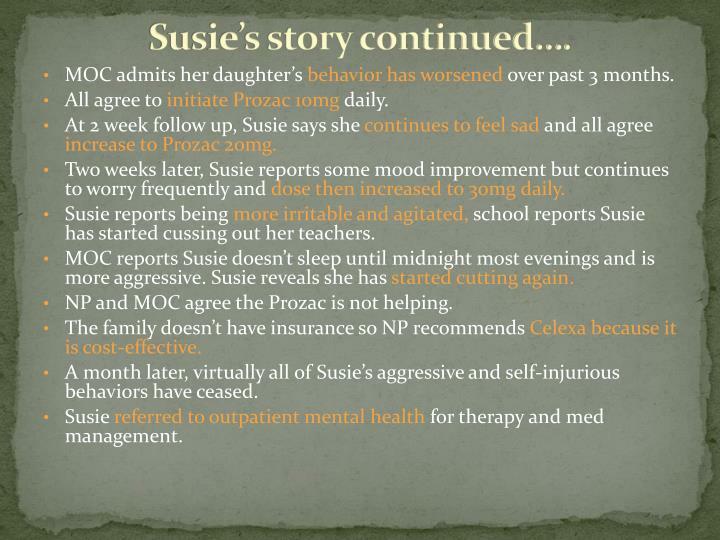 MOC reports Susie doesn’t sleep until midnight most evenings and is more aggressive. Susie reveals she has started cutting again. 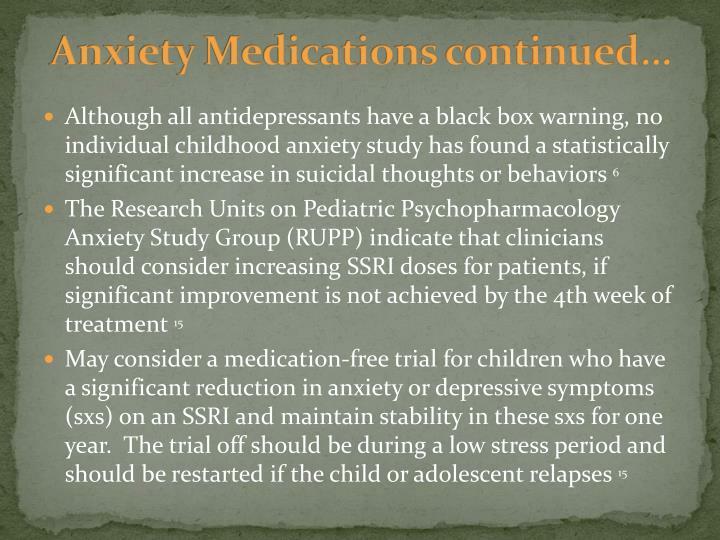 NP and MOC agree the Prozac is not helping. The family doesn’t have insurance so NP recommends Celexa because it is cost-effective. A month later, virtually all of Susie’s aggressive and self-injurious behaviors have ceased. 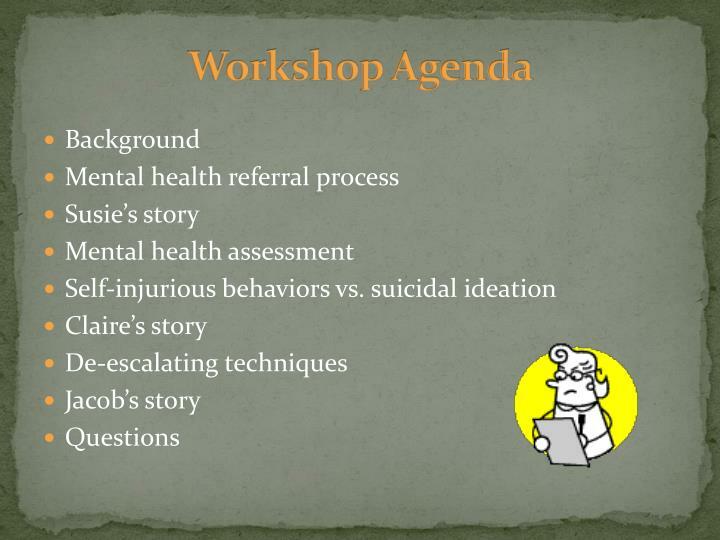 Susie referred to outpatient mental health for therapy and med management. 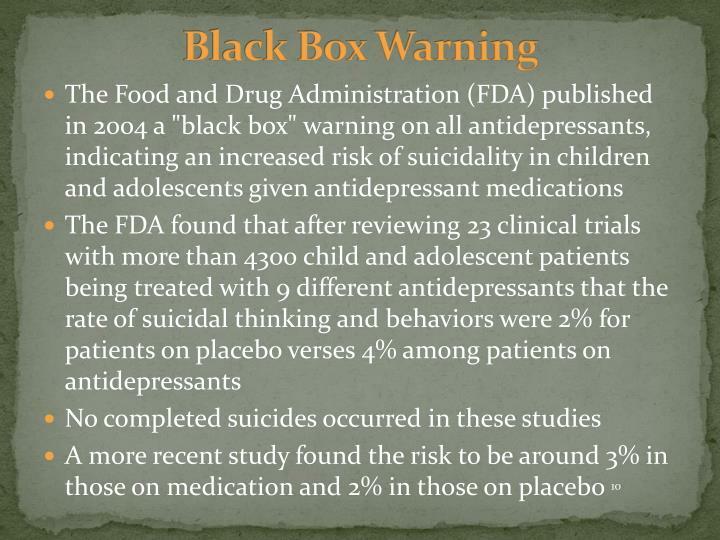 Do not use doses higher than 40mg. 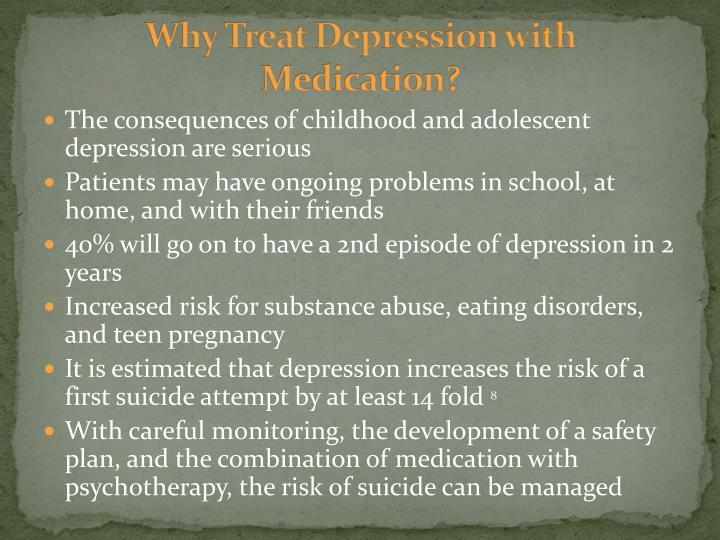 Why Treat Depression with Medication? Self Injury is a coping mechanism; it is an attempt to survive and manage the affect of an overwhelming experience or emotion. 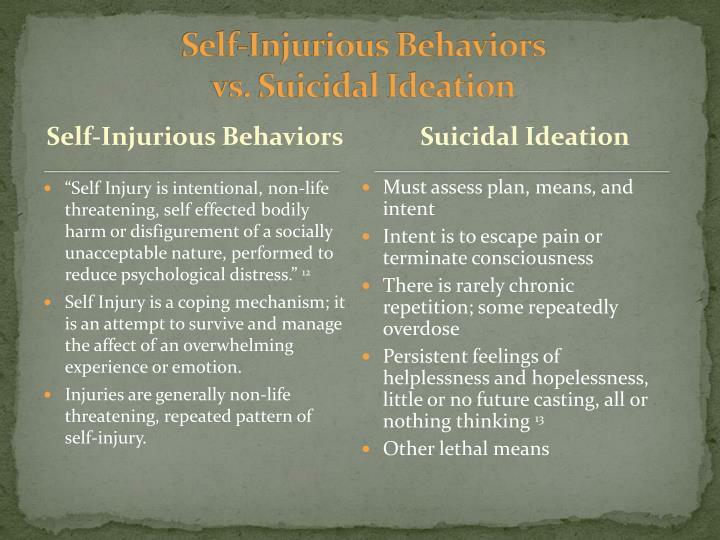 Injuries are generally non-life threatening, repeated pattern of self-injury. Feels nauseous and has butterflies in her stomach; reports that her body tenses and she has difficulty focusing. Claire admits to spending two hours daily cleaning her house to "keep her mind off of what happened in the past". 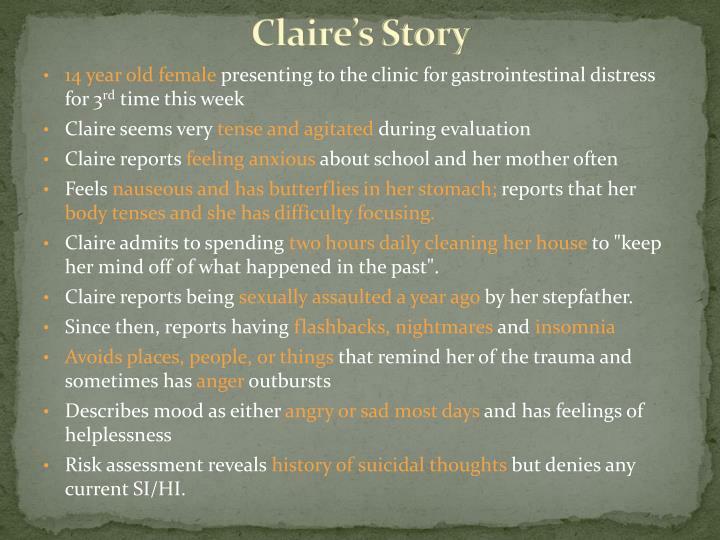 Claire reports being sexually assaulted a year ago by her stepfather. 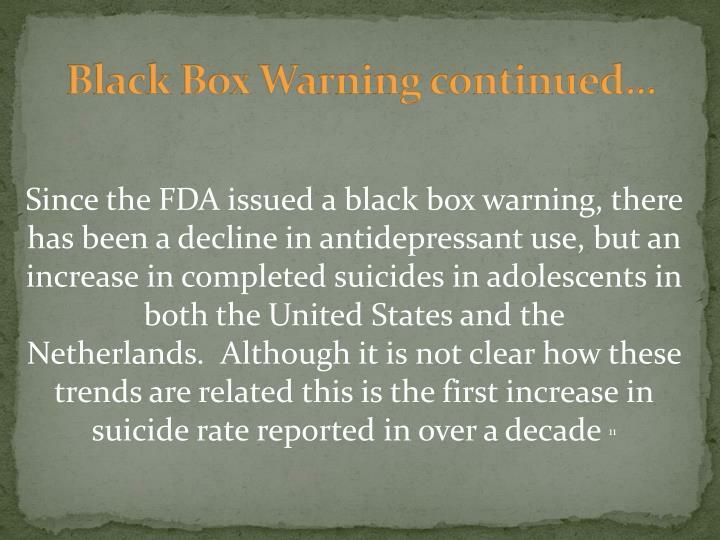 Risk assessment reveals history of suicidal thoughts but denies any current SI/HI. 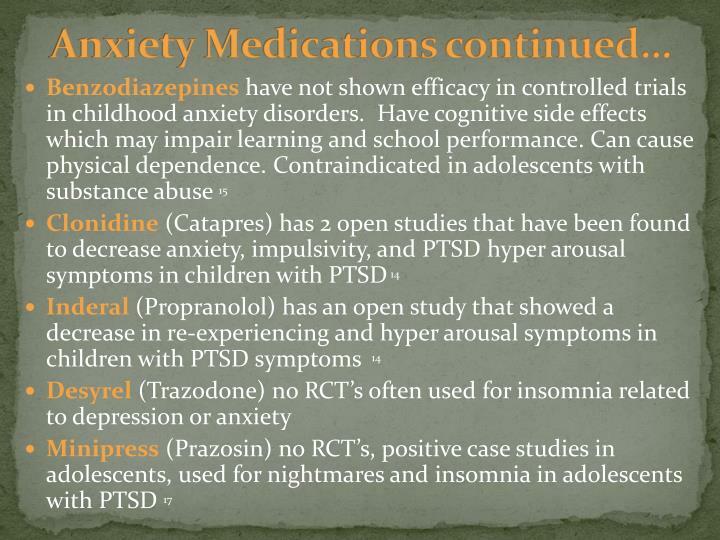 Prescribed Prozac 10mg daily to target her anxiety/ mood symptoms. Amonth on the 10 mg dose, the medicine seems to help some but she was still getting angry with her mother most days. 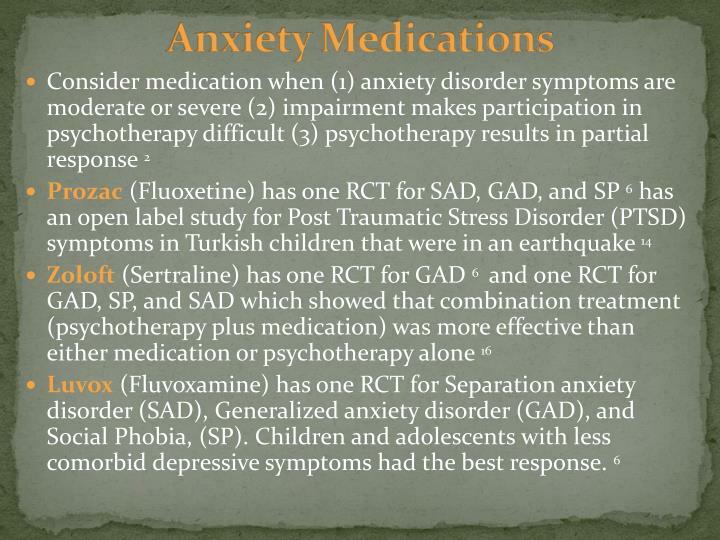 PA increases Prozac to 20mg daily. Mother reports that Claire is still yelling at her, aggressive towards her sisters, and seemed to be more restless around the house. 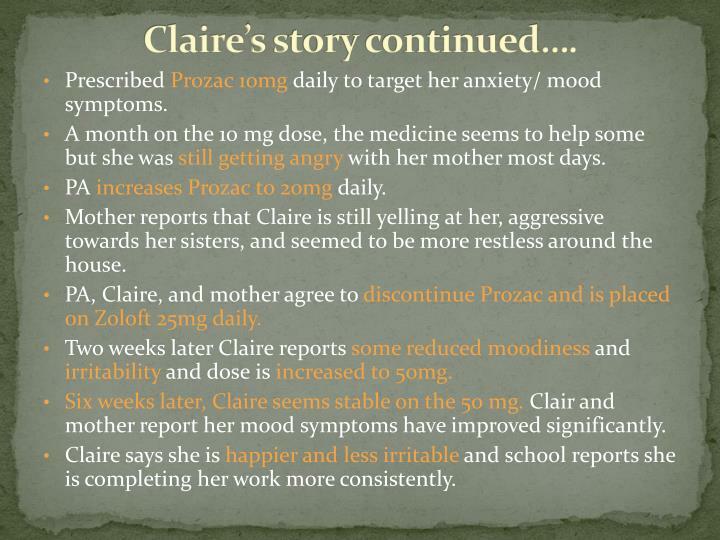 PA, Claire, and mother agree to discontinue Prozac and is placed on Zoloft 25mg daily. 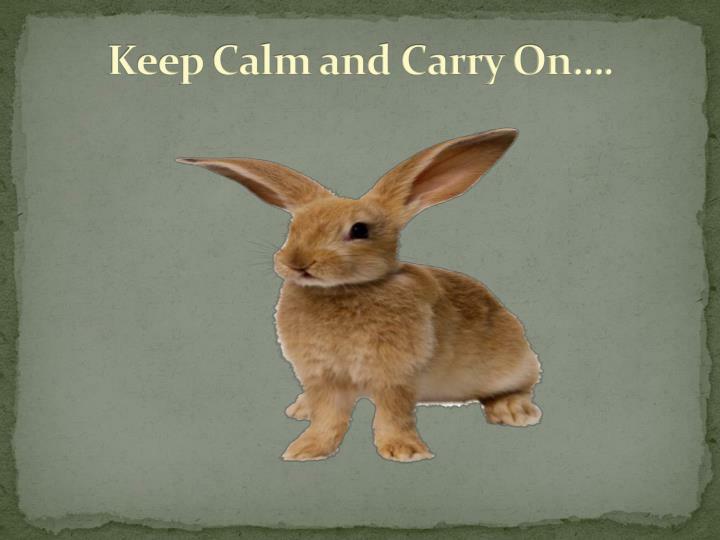 Two weeks later Claire reports some reduced moodiness and irritability and dose is increased to 50mg. Six weeks later, Claire seems stable on the 50 mg. Clair and mother report her mood symptoms have improved significantly. 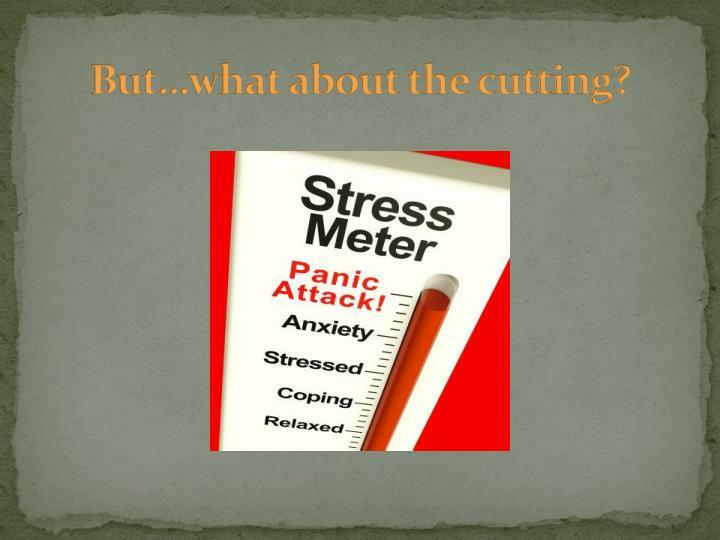 Claire says she is happier and less irritable and school reports she is completing her work more consistently. 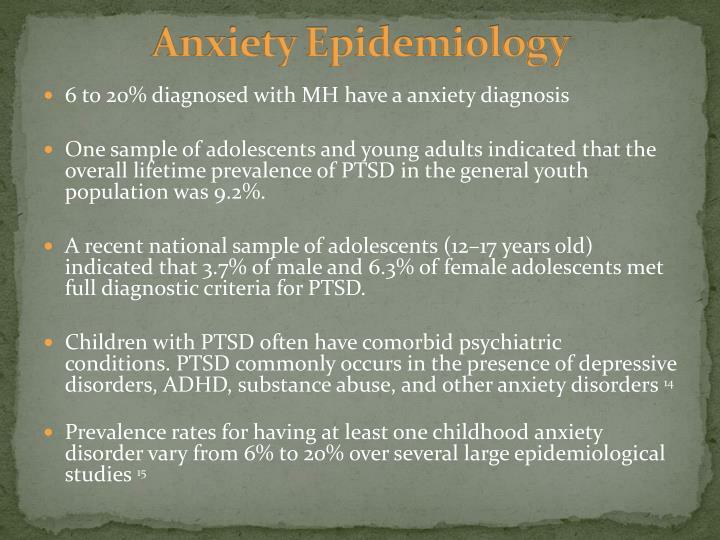 One sample of adolescents and young adults indicated that the overall lifetime prevalence of PTSD in the general youth population was 9.2%. 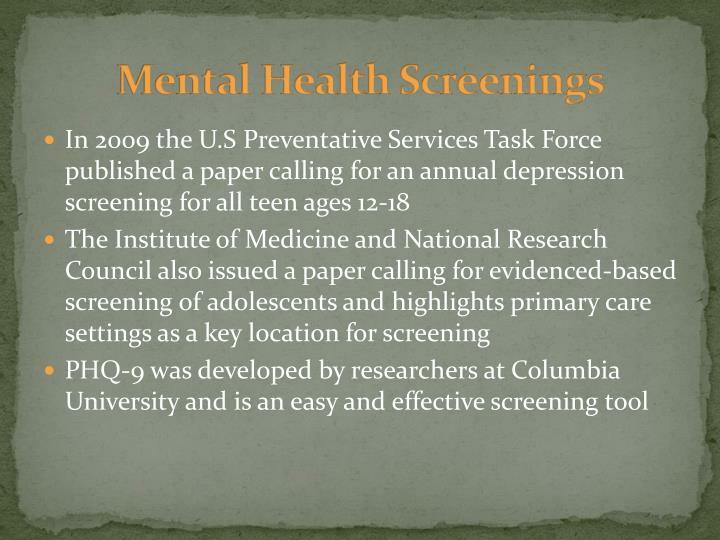 A recent national sample of adolescents (12–17 years old) indicated that 3.7% of male and 6.3% of female adolescents met full diagnostic criteria for PTSD. 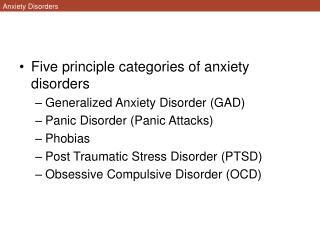 Anxiety disorders are highly comorbid with other anxiety disorders and with other psychiatric disorders including depression, ADHD and substance abuse. 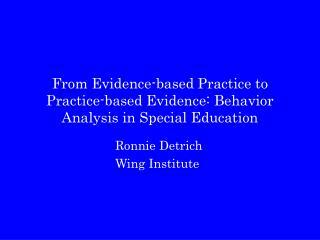 Othercommonly co-occurring conditions include oppositional defiant disorder, learning disorders, and language disorders. 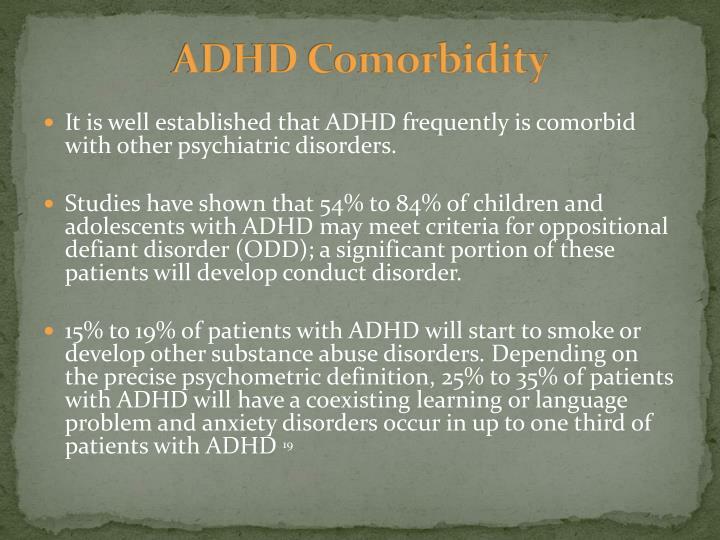 Comorbid disorders may affect functioning and treatment outcome. 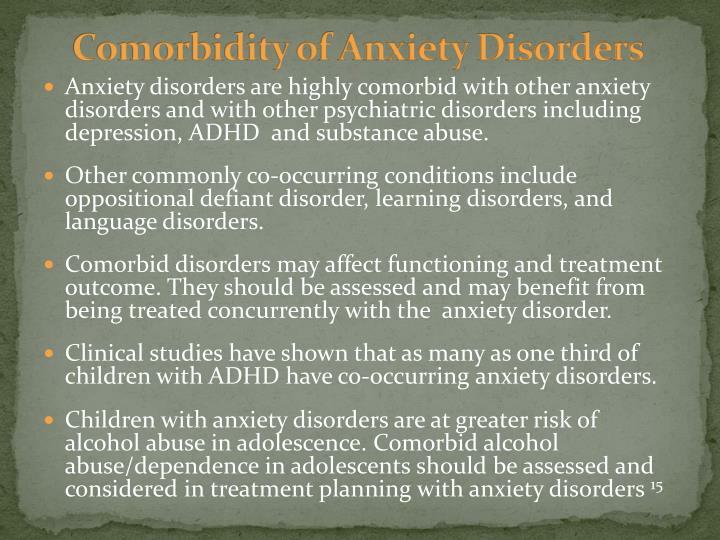 They should be assessed and may benefit from being treated concurrently with the anxiety disorder. 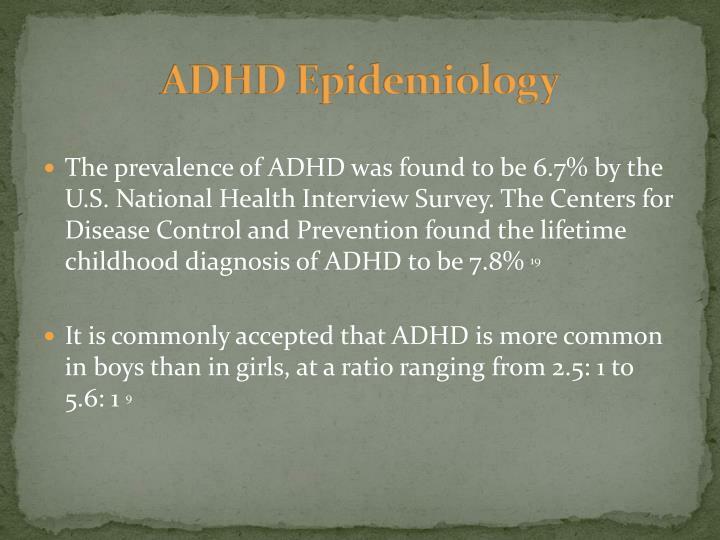 Clinical studies have shown that as many as one third of children with ADHD have co-occurring anxiety disorders. 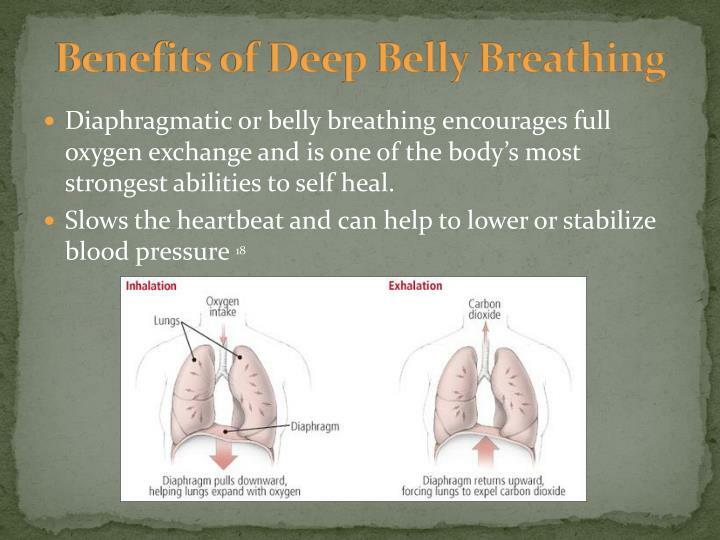 Diaphragmatic or belly breathing encourages full oxygen exchange and is one of the body’s most strongest abilities to self heal. 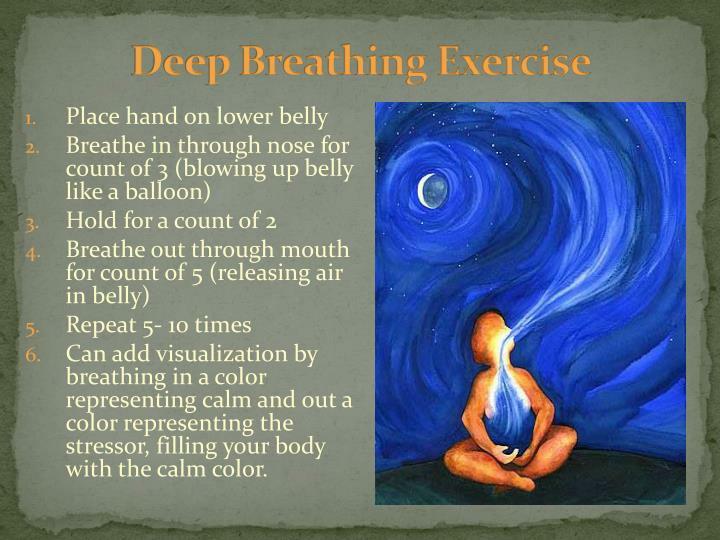 Can add visualization by breathing in a color representing calm and out a color representing the stressor, filling your body with the calm color. 15-year-old high school sophomore seen in school clinic after getting into a physical altercation with a peer. 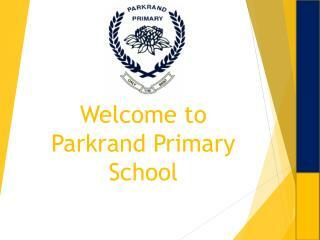 School reports he has been suspended three times this year. Jacob admits to failingall of his classes. 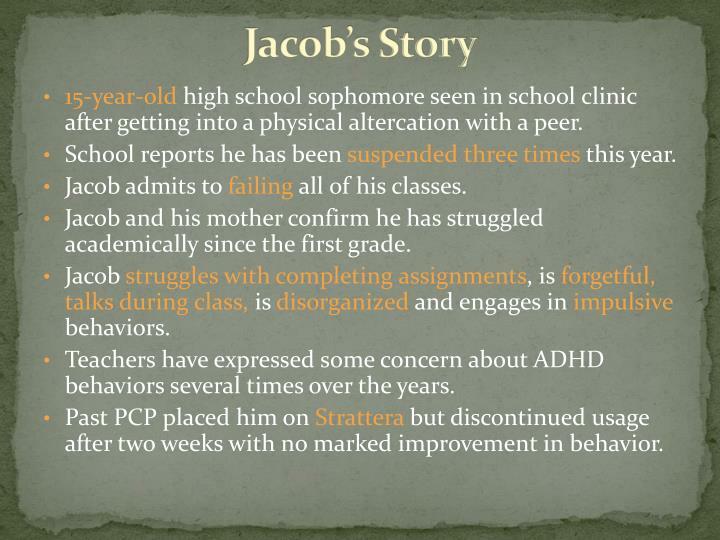 Jacob and his mother confirm he has struggled academically since the first grade. Jacob struggles with completing assignments, is forgetful, talks during class, is disorganizedand engages in impulsive behaviors. 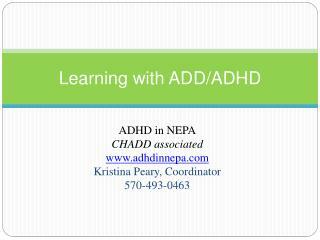 Teachers have expressed some concern about ADHD behaviors several times over the years. 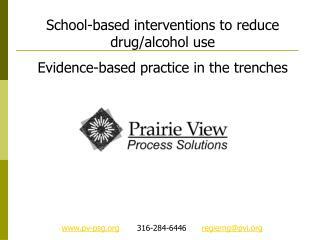 Past PCP placed him on Stratterabut discontinued usage after two weeks with no marked improvement in behavior. 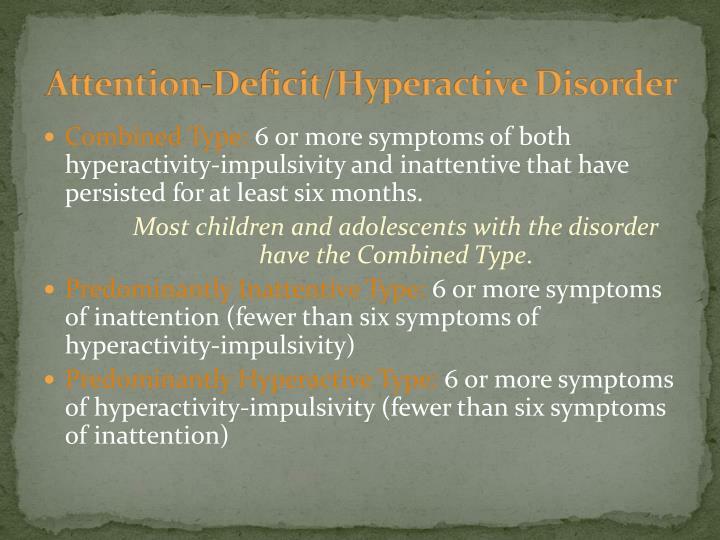 Completed Vanderbilt scale showed high scores in inattention and hyperactivity. NP prescribed Jacob Methylphenidate 10mg one tab po BID. At 2 week follow up, Jacob states his mood has been fluctuating; he feels fine in the morning but gets more irritable during lunch time. 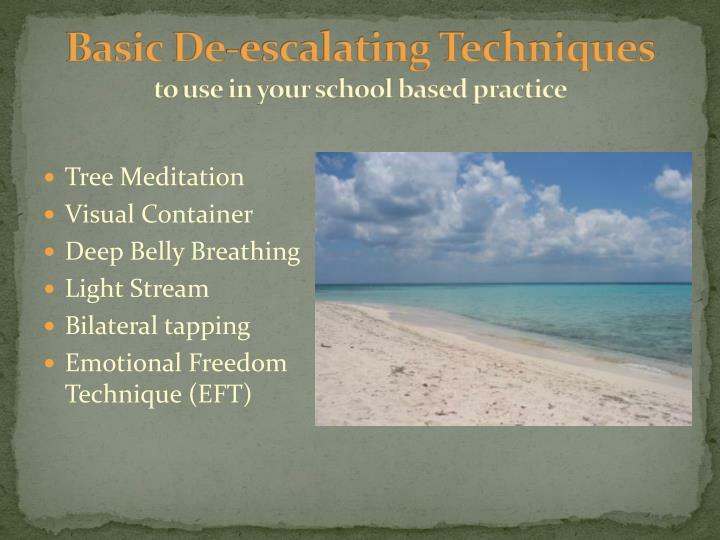 Teachers report he is getting more work done in their classes but is more disruptive and oppositional around 10:30 am and 2pm. 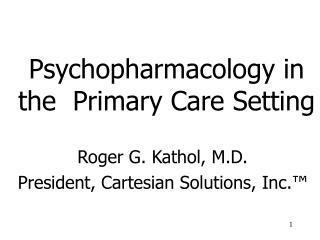 NP discontinued Methylphenidate and prescribed Concerta 36 mg po q am. 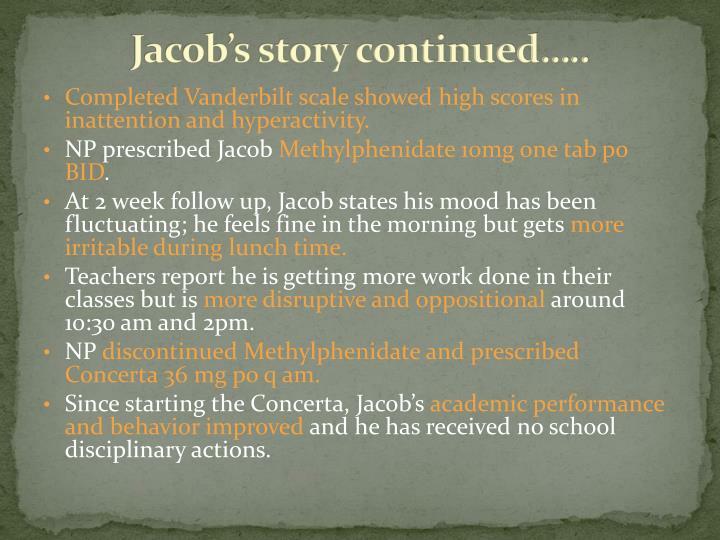 Since starting the Concerta, Jacob’s academic performance and behavior improved and he has received no school disciplinary actions. 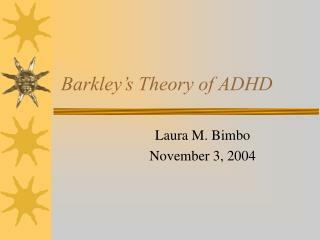 Combined Type: 6 or more symptoms of both hyperactivity-impulsivity and inattentive that have persisted for at least six months. 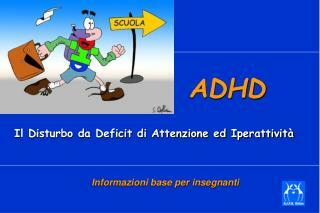 Most children and adolescents with the disorder have the Combined Type. 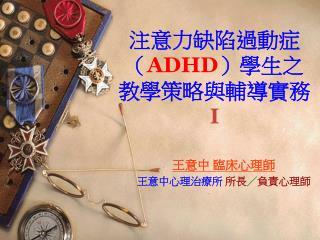 It is well established that ADHD frequently is comorbid with other psychiatric disorders. 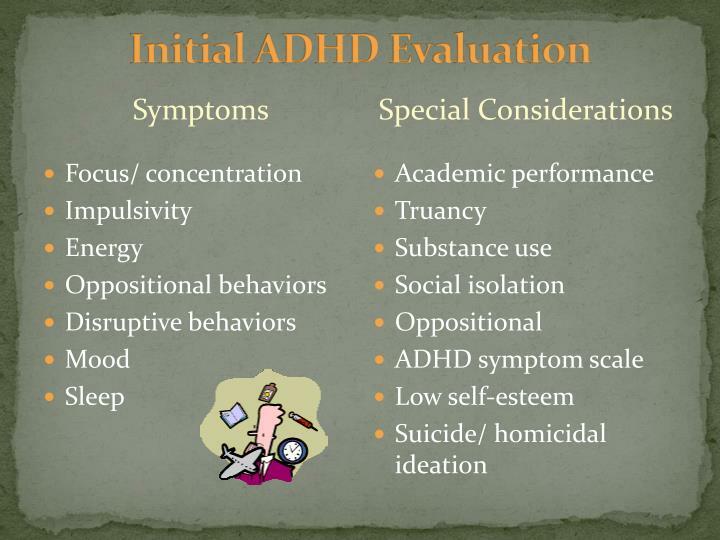 Studies have shown that 54% to 84% of children and adolescents with ADHD may meet criteria for oppositional defiant disorder (ODD); a significant portion of these patients will develop conduct disorder. 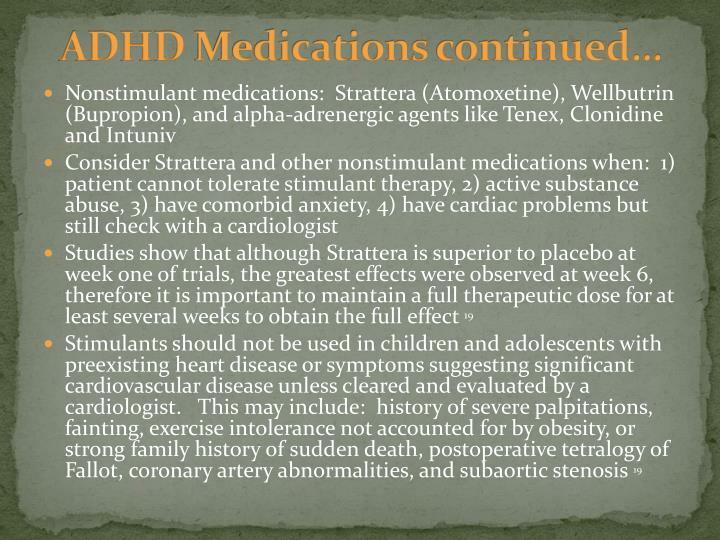 Stimulants are 1st choice agents due to greatest efficacy with mild tolerable side effects. 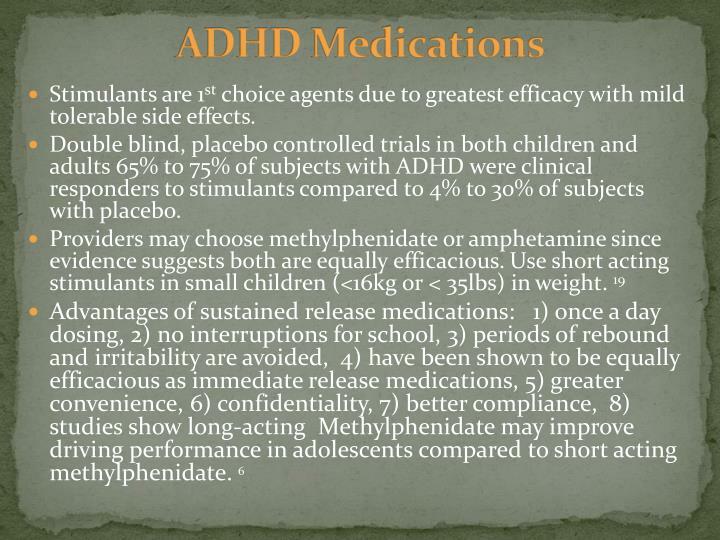 Double blind, placebo controlled trials in both children and adults 65% to 75% of subjects with ADHD were clinical responders to stimulants compared to 4% to 30% of subjects with placebo. 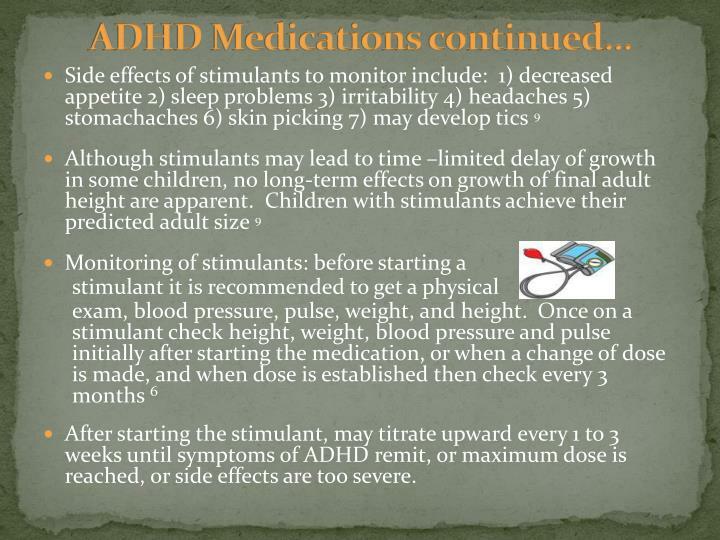 After starting the stimulant, may titrate upward every 1 to 3 weeks until symptoms of ADHD remit, or maximum dose is reached, or side effects are too severe. 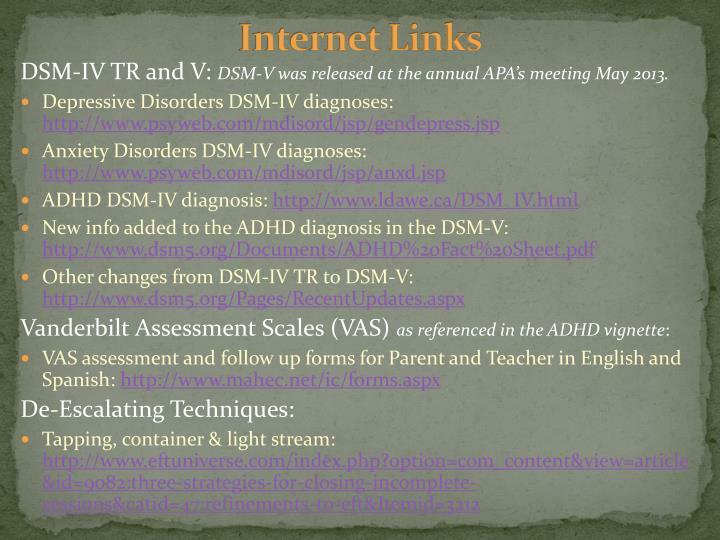 DSM-IV TR and V: DSM-V was released at the annual APA’s meeting May 2013. 2 Birmaher B, Ryan ND, Williamson DE et al. 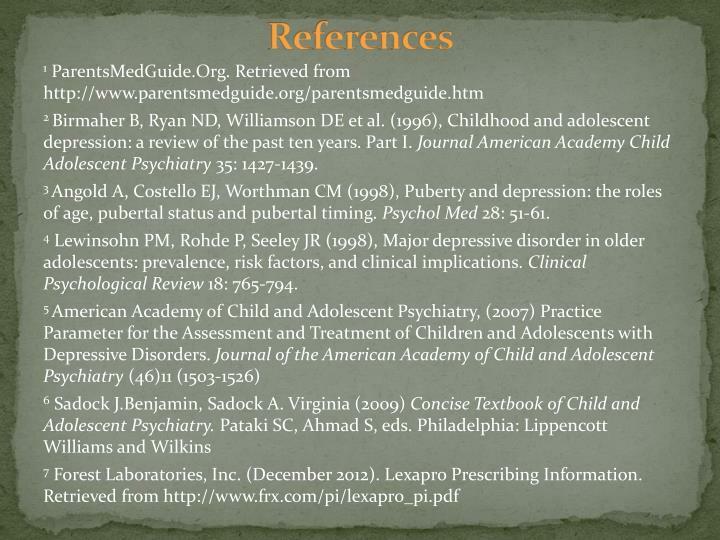 (1996), Childhood and adolescent depression: a review of the past ten years. Part I. 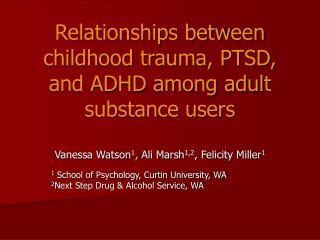 Journal American Academy Child Adolescent Psychiatry 35: 1427-1439. 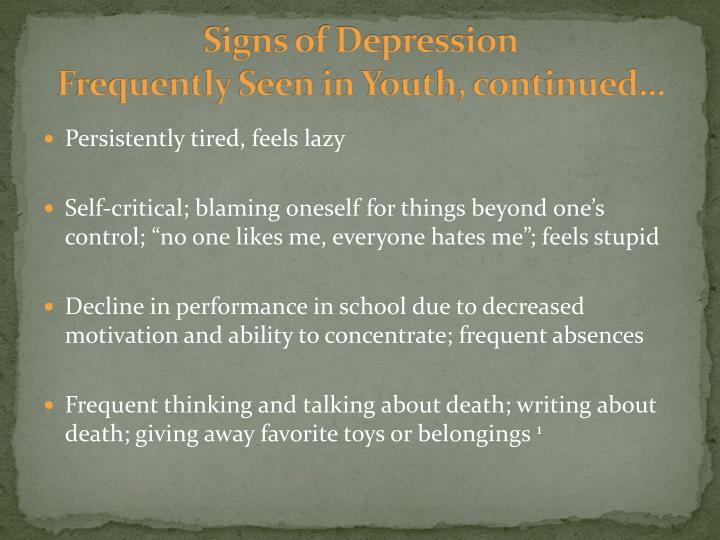 3 Angold A, Costello EJ, Worthman CM (1998), Puberty and depression: the roles of age, pubertal status and pubertal timing. Psychol Med 28: 51-61. 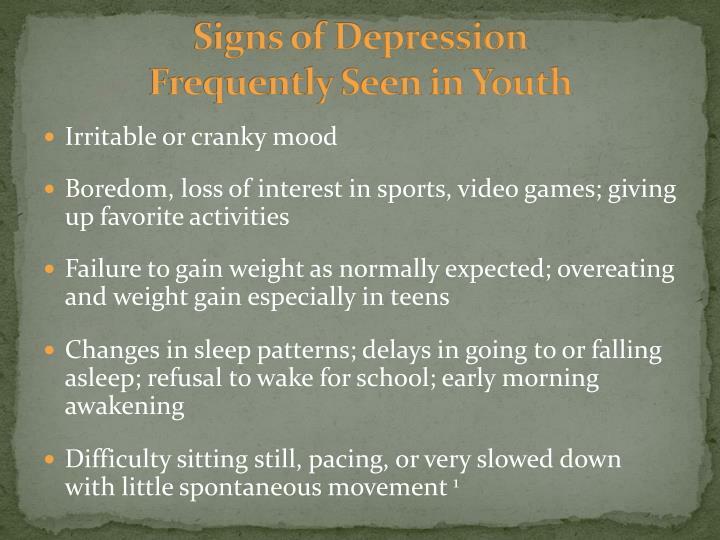 4Lewinsohn PM, Rohde P, Seeley JR (1998), Major depressive disorder in older adolescents: prevalence, risk factors, and clinical implications. 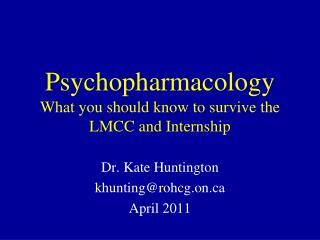 Clinical Psychological Review 18: 765-794. 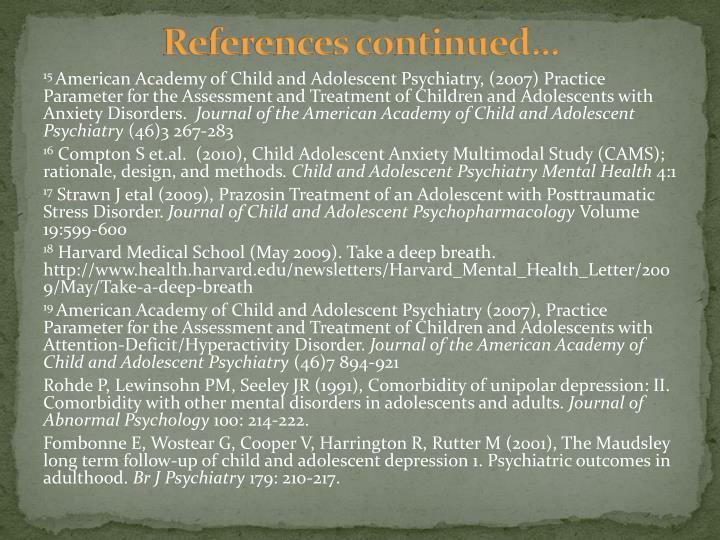 9Dulcan K. Mina, Wiener M. Jerry (2006) Essentials of Child and Adolescent Psychiatry. Dulcan KM, Wiener MJ, eds. 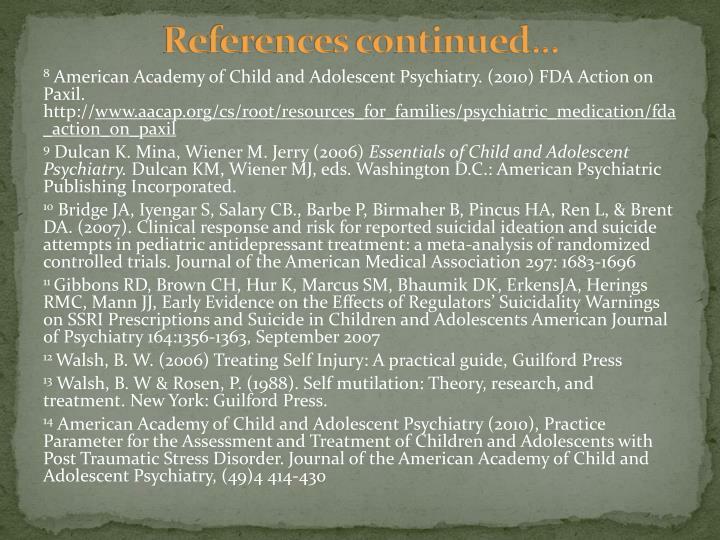 Washington D.C.: American Psychiatric Publishing Incorporated. 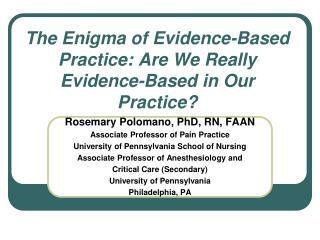 13 Walsh, B. W & Rosen, P. (1988). Self mutilation: Theory, research, and treatment. New York: Guilford Press. 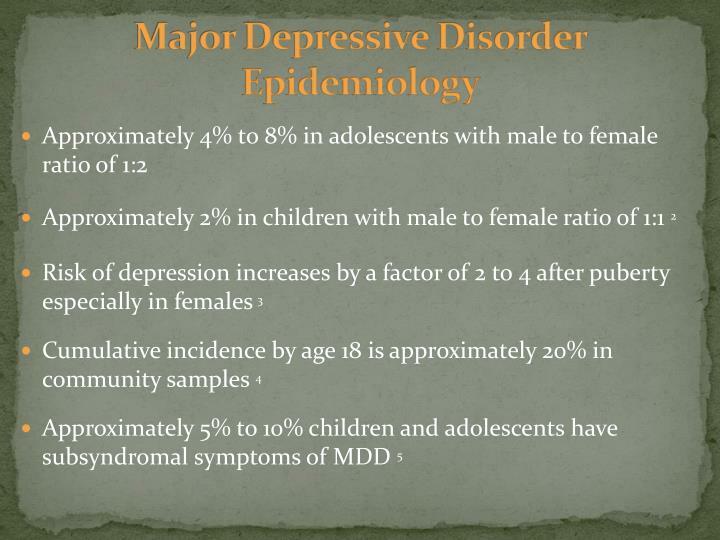 Rohde P, Lewinsohn PM, Seeley JR (1991), Comorbidity of unipolar depression: II. 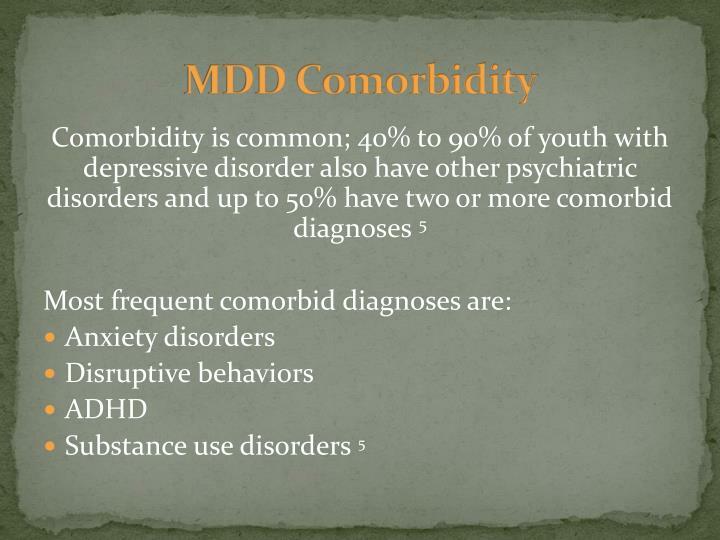 Comorbidity with other mental disorders in adolescents and adults. Journal of Abnormal Psychology 100: 214-222. 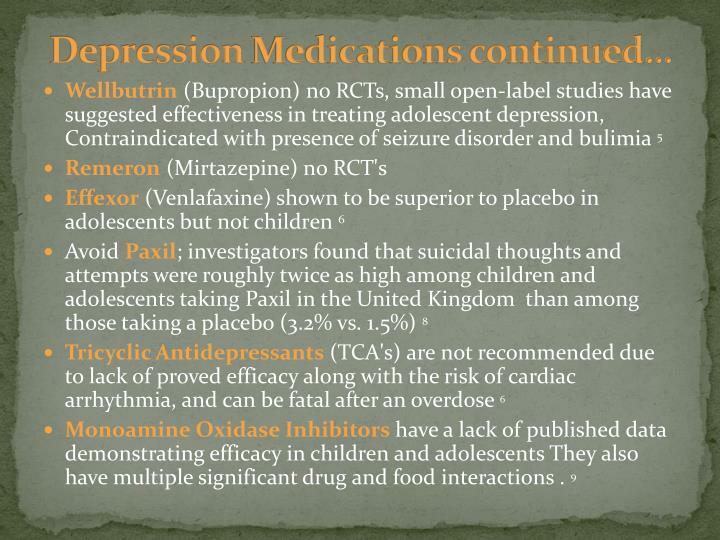 FombonneE, Wostear G, Cooper V, Harrington R, Rutter M (2001), The Maudsley long term follow-up of child and adolescent depression 1. 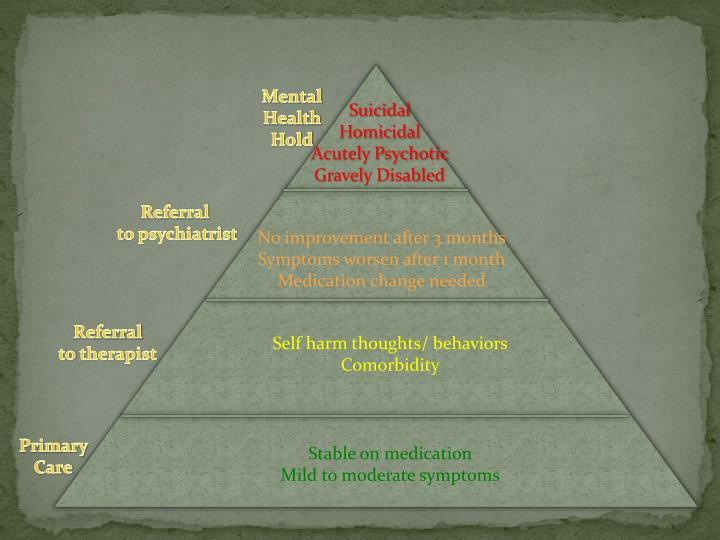 Psychiatric outcomes in adulthood. 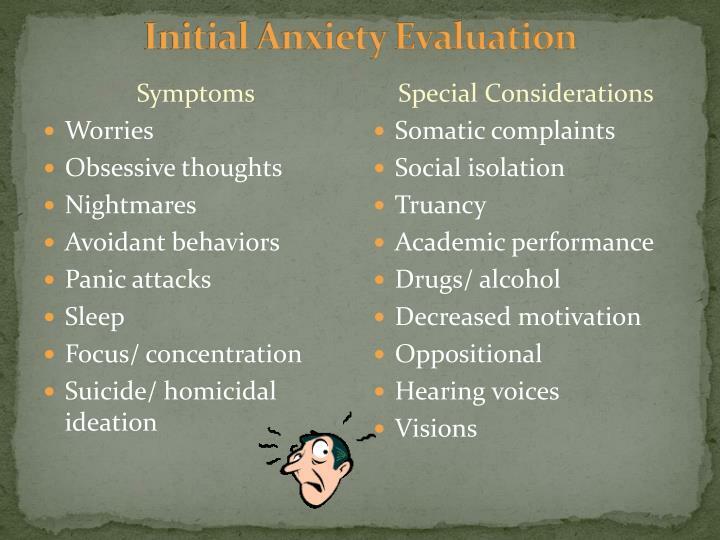 Br J Psychiatry 179: 210-217. 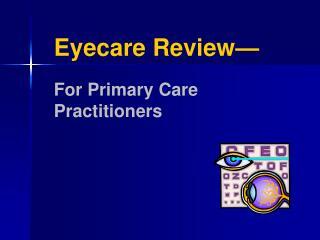 Eyecare Review— For Primary Care Practitioners -. 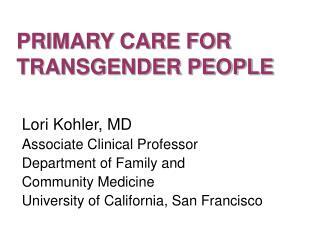 primary care practitioners. see variety of eye problems discuss treatment options facilitate referrals positioned to explain optometry's role as primary eye care providers. outline. 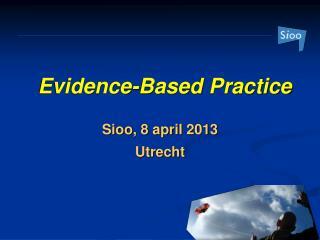 Improving Safety Culture and Safety Practice In Primary Care -. 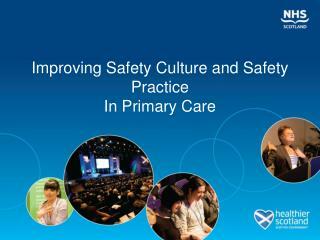 scottish patient safety programme acute focus. central line infection rate. (per thousand line days. 92% reduction . why ? who? what ? 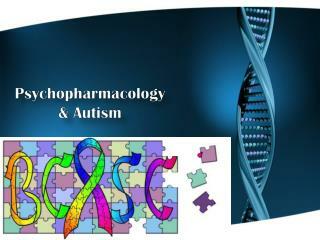 Psychopharmacology & Autism -Psychopharmacology &amp; autism. 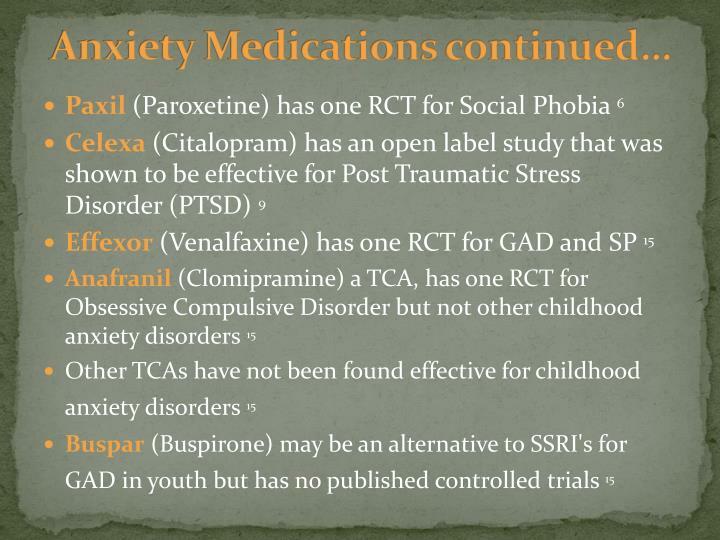 psychopharmacology &amp; autism. 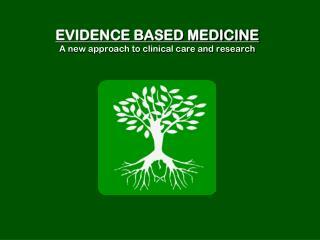 basem k. shlewiet, m.d. 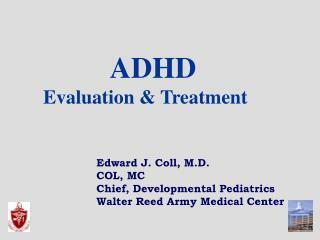 child and adolescent psychiatrist medical director, kidspeace executive director, kidspeace hospital.